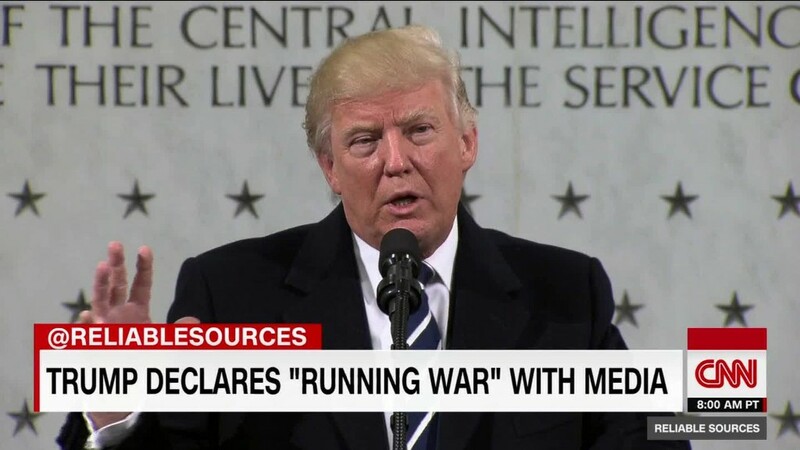 Trump says he is at "war with the media"
President Trump has found his man to regulate the media. Trump has picked Ajit Pai to serve as the next chairman of the Federal Communications Commission. Pai is currently the senior Republican commissioner at the FCC and does not require Senate approval. However, he will need to be reconfirmed by the Senate before the end of this year because his current five-year term as a commissioner expires. "This afternoon, I was informed that @POTUS @realDonaldTrump designated me the 34th Chairman of the @FCC," Pai said on Twitter Monday. "It is a deeply humbling honor." The FCC's five-member board currently has one Democrat and two Republicans, including Pai, with two vacancies left for Trump to fill. Trump will only be able to name one more Republican, though, as no more than three members can be from the same political party. The FCC could prove crucial to Trump, who is known for his obsession with the media. The agency has the authority to block major media mergers, revoke broadcast licenses and regulate Internet providers. Pai is known for being an outspoken critic of the net neutrality rules. These are intended to keep the Internet open and fair by preventing providers like Comcast (CCV) from speeding up or slowing down traffic from specific websites and apps. When the rules were first approved in early 2015, Pai attacked it by quoting Emperor Palpatine from Star Wars. After Trump's victory, Pai said he believed net neutrality's "days are numbered." Pai, a former counsel for Verizon (VZ), may also be more favorable toward media mergers than the previous FCC chair. While talking about the potential for a Comcast-Time Warner Cable merger in late 2013, Pai noted: "A Republican administration likely would be more inclined to approve a deal." Comcast abandoned the mega merger in 2015 after reported skepticism from the FCC and Department of Justice. If so, that could put Pai at odds with Trump. During the campaign, Trump said little about the FCC itself. However, he threatened to block AT&T (T)'s deal to buy Time Warner (TWX), the parent company of CNN, and to break up the merger of Comcast (CCV) and NBCUniversal. But Pai is in good company. Several of the advisers Trump appointed to help with the FCC transition are also against the net neutrality rules and generally in favor of media mergers, raising questions about how much Trump would push back on the latter. 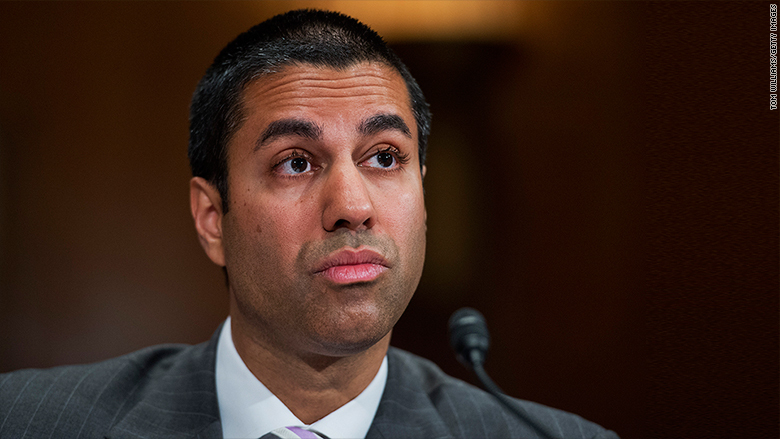 Media companies may also breathe a sigh of relief to learn that Pai describes himself as a staunch advocate of the First Amendment in his official FCC bio. Tom Wheeler, the previous FCC chairman who was appointed by former President Obama, decided to step down at the end of Obama's term. Wheeler, a former cable industry lobbyist, quickly established himself as the cable industry's worst enemy. Under Wheeler's leadership, the FCC approved net neutrality regulations, pushed for set-top box reform and helped block the massive merger between Comcast and Time Warner Cable. "We are at a fork in the road," Wheeler said in his final public speech earlier this month. "One path leads forward. The other leads back to re-litigating solutions that are demonstrably working."